Welcome! We are happy you’ve chosen our office for your dental care. Please feel free to call us with any questions you may have. If you have already made your appointment, please click here to print your New Patient Package, and bring the completed forms with you. We would be glad to pre-verify your insurance coverage for you.We are continually adding insurance companies.So call us if you do not see yours on the list. Please keep in mind that your specific policy is an agreement between you and your insurance company. You will be responsible for your total obligation should your insurance benefits result in less coverage that anticipated. Our staff will gladly submit a pre-treatment estimate to your insurance company so that you will know what you benefits will be before the procedure is started. For your convenience, We accept cash, personal checks, money orders and all major credit cards. Payment is expected at the time services are performed. When more extensive dental care is necessary, financial arrangements can be made with out office. The DMFS is an informative brochure published by the state board of California. 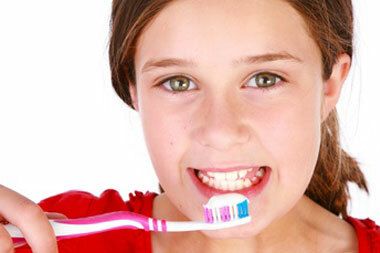 It includes information regarding the most commonly used restorative (filling) materials. You can view the DMFS on the California Dental Board / Department of Consumer Affairs website. Why do I need a crown after my root canal? Root canal treatment disinfects the nerve canals inside your tooth. It is imperative that these canals remain free of bacteria. A crown seals the access to the nerve chamber and keeps bacteria out. Root canal treated teeth are vulnerable to fracture. Also, root canal treated teeth often discolor over time. A crown will protect the tooth and prevent hide discoloration, maintaining a beautiful and healthy tooth. All our instruments are treated using a very strict protocol to assure absolute cleanliness and sterility for your safety. First, instruments are brush-scrubbed with soap and water. Next they are ultrasonically cleaned in a disinfecting solution. This assures immaculate instruments on a microscopic level. Finally, the instruments are sealed in a sterile pouch and processed through our autoclave sterilizer or chemiclave sterilizer assuring complete sterility. The sterilization efficacy is monitored with spore tests to verify sterility to OSHA and hospital surgical standards. Each sterile pouch also has a sterility sensor on it to demonstrate that the package has been sterilized. Rest assured that our protocol is rock solid. In all our history, not once has there been a mixup or an incident of infection transfer or even potential infection transfer. There are no “cracks in the system,” and no instrument could ever be confused with a non-sterile one. Should I replace my silver fillings with white fillings or porcelain? This is a trick question. If we say yes, people might suspect financial motive. If we say no, we’re dishonoring our passion and beliefs about dental health. The answer is almost always YES. Much improvement in health and aesthetics can be achieved with white fillings or porcelain. But the reason has nothing to do with mercury. It has to do with temperature and bacteria. Please read our Amalgam page for a detailed explanation. If your reason is due to the mercury scare, then it’s probably not necessary to change your fillings. But if your silver fillings are older than 10 years, then they need to be changed for health reasons. And of course, if you want to improve the beauty of your smile, then changing them is a good choice. If the silver fillings are small and shallow, they can generally easily be changed to white fillings. If the silver fillings are large or deep, then they best be replaced with porcelain. We can always give you better answers in-person having seen your teeth and fillings. Is the mercury in amalgam fillings harmful to me? Well, free mercury is harmful. But the mercury in amalgam fillings is mostly chemically bound and trapped. Studies show that some mercury is in fact released from amalgam fillings. Most of this occurs when the filling is still fresh. However, the amount of mercury released from amalgam fillings is quite small. In fact some reports say that the amount of mercury you consume every day from eating and breathing is more than that released from amalgam fillings. Why do amalgam (silver) fillings contain mercury? Amalgam means a mix of metals. The filling material is made with a powder form of a few metals (silver, copper, tin, zinc) and a liquid form of mercury. The purpose of the mercury is to chemically bond to the other powdered metals causing a reaction which hardens the mixture into a solid metal to fill the tooth..
Mercury is the only metal that is liquid at room temperature, and the only chemical that can cause the hardening reaction for amalgam fillings. After the reaction is complete, no liquid mercury remains. The mercury becomes chemically bound and trapped in solid form. Do I need to continue taking my antibiotics even though I’m feeling better now? Yes! If the directions on the prescription say to do so, then it is very important that you follow them (unless you experience any side-effects in which case you should call us immediately). If you haven’t finished your antibiotic course, the infection may now be under control, but it is not necessarily gone. The part of the infection that was eliminated with the initial dose of antibiotics was the most susceptible bacteria (the bacteria that were easy to kill). If you stop taking the antibiotics before ALL the bacteria are killed, the ones that are left (the stronger ones) can cause the infection to re-grow (“blow up”). But this time, since the infection is made of stronger, more antibiotic-resistant bacteria, the infection will be worse and antibiotics may no longer work. Do you offer nitrous oxide (laughing gas)? Yes we do. Some patients feel more comfortable under the light sedation of nitrous oxide gas, and we are happy to accommodate them. Depending on the length of the session, there is an additional charge for nitrous oxide. By maintaining a clean mouth with good oral hygiene, your fillings, crowns, and bridges will last much longer. Decay and gum disease caused by poor oral hygiene are the major cause of a restoration’s failure. Take special care when eating hard foods such as candy or ice. These hard foods can easily crack natural teeth as well as crowns or bridges. Sugar, especially when coupled with poor oral hygiene, can often lead to decay and failure of a crown or bridge. Avoid sugar in your diet. Always wear a Mouthguard when playing rough sports. If you take good care of your teeth, both your natural teeth and your crowns and bridges will last you a long time. In general, crowns and bridges have an expected lifespan of about 10-15 years. In a very healthy mouth, the lifespan is often much longer than that. Some crowns and bridges last 20-30 years, and some an entire lifetime. The life of a crown also depends on the condition of the tooth before the crown was placed. Children are welcome. Parents who visit Dr. Reitter are surprised by how easy their child’s care can be when the dentist has the right character. Absolute Dental Care office of Dr. Jean R. Reitter © 2019. All Rights Reserved.